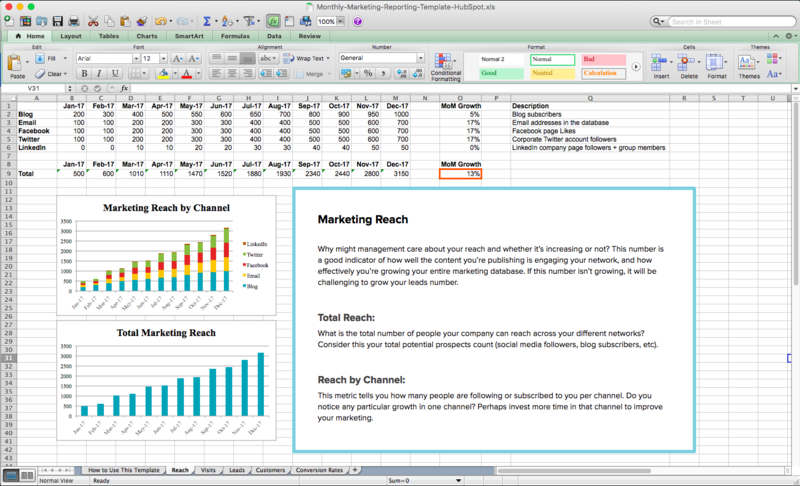 Over 35,000 marketers are already using these monthly reporting templates to save time. 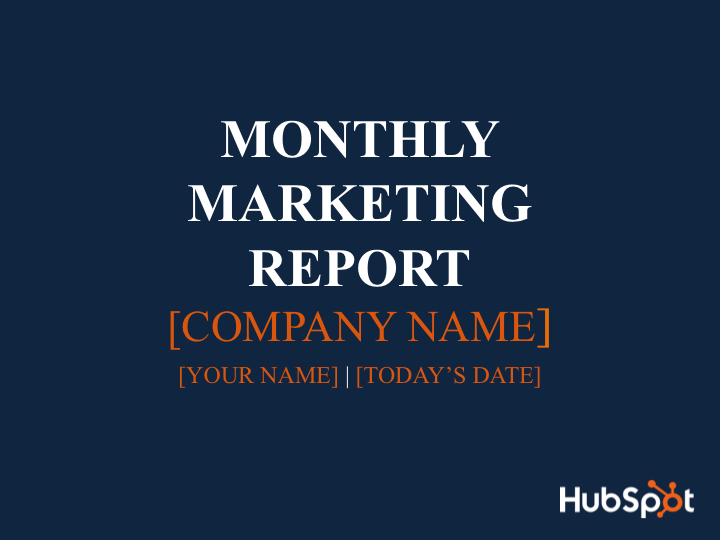 You don't have to create your monthly report from scratch. Reporting can be one of the most tedious parts of a marketer's job, but it's also one of the most critical. Your metrics prove your work's worth: How much traffic are you driving to your website? 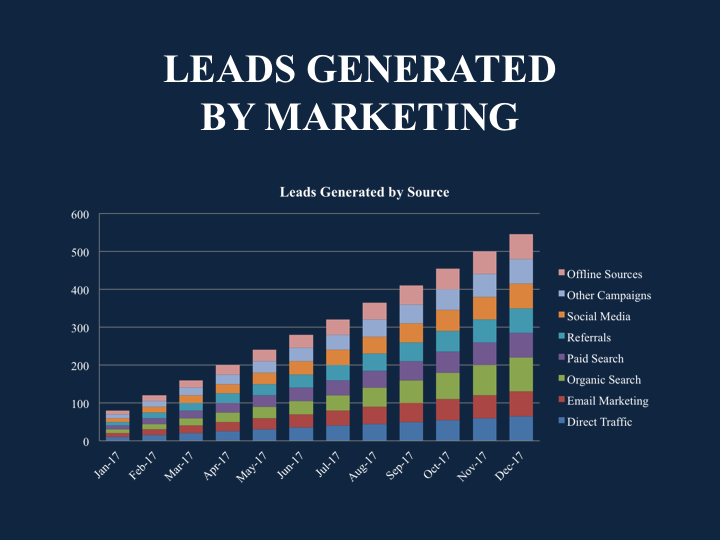 How many customers did your marketing efforts generate? Now, you never have to miss another deadline. To make your reporting way easier, we've created a template complete with an Excel spreadsheet and PowerPoint deck, so you don't have to start from scratch. 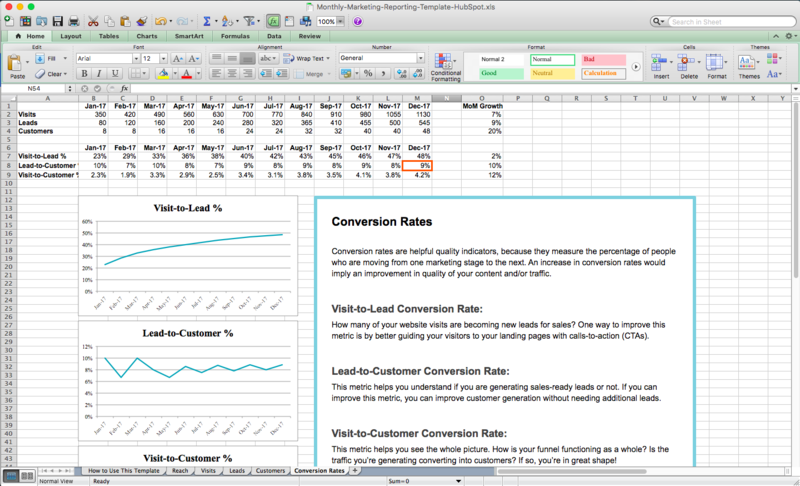 Using this template should make your monthly reporting much faster, so you can get back to driving results. Simply fill out the form on this page to start using these templates. 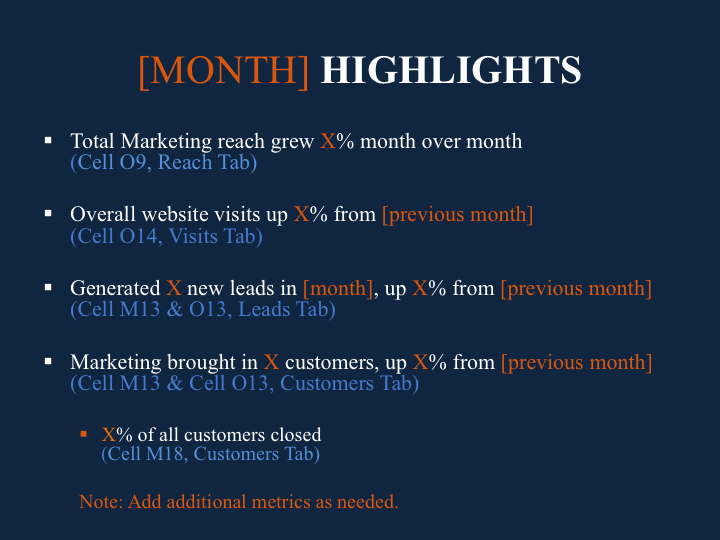 Track monthly growth of your visits, leads, and customers. 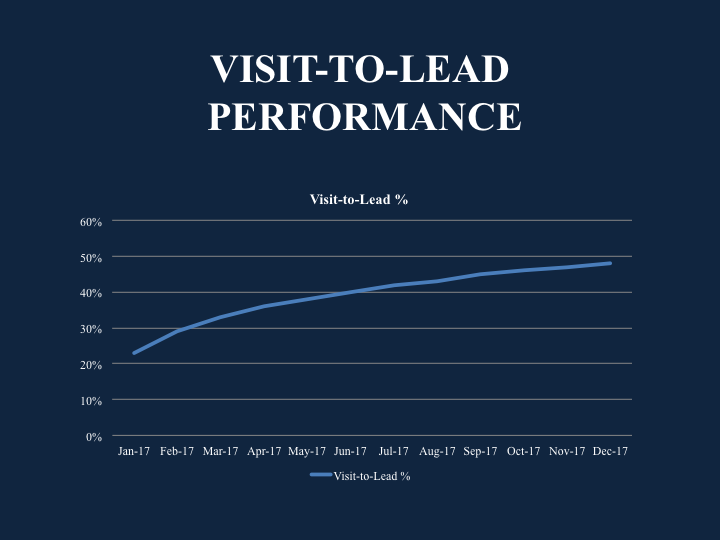 Measure your website's visit-to-lead conversion rate. Accurately track which channels are performing best. Plug your metrics into a PowerPoint deck to present to your boss.